Buy Advanced Seeds Shark Widow CBD from Dope Seeds today and get some of the best quality medical marijuana genetics available. Shark widow CBD, as the name suggests, is a high CBD cannabis strain suited for medical marijuana applications. It has balanced levels of THC and CBD with both reported to be around 6%. This low level of THC and very high level of CBD mean this strain has less of a psychoactive effect and more of a relaxing medical use. Advanced seeds shark widow CBD come as 100% feminised seeds and are sold in protective packs of 1,3 or 10 feminized seeds. 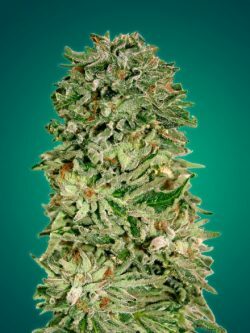 Advanced seeds shark widow CBD is a a mostly indica strain of medium height but has excellent production levels and is very easy to manage. The aroma is intense with sweet and sour notes that will delight! The effect of Shark widow CBD is very relaxing with excellent therapeutic benefits.